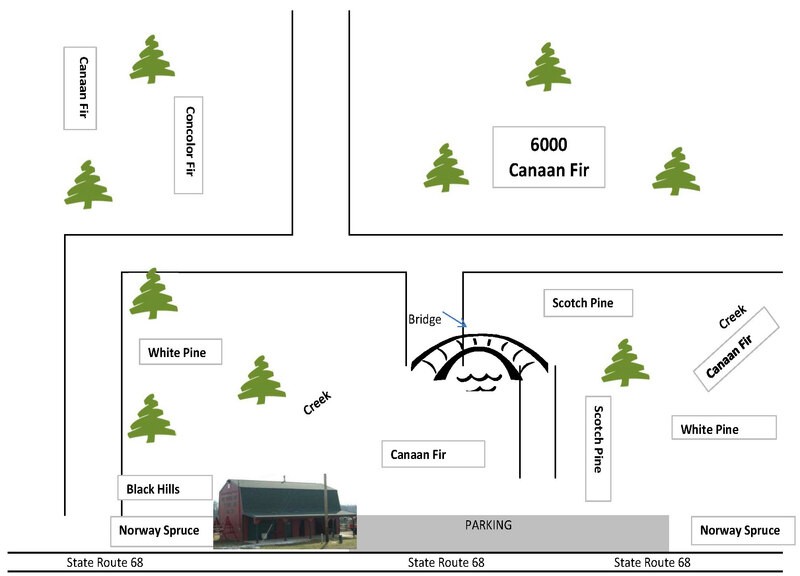 Learn more about the varieties available at Carl & Dorothy’s Christmas Tree Farm below the map. (pronounced “Ka-naan”, with emphasis on the last syllable). This gorgeous single needle tree is very desirable as a Christmas tree. The short needles have a bluish green top with a silver green bottom. Needle retention is very good and branches are strong, making decorating a delight. The scent of this tree is an outstanding feature. Also known as white fir, their beautiful blueish-green needles produces a wonderful citrus aroma. Needle retention is good. These nicely shaped trees are known for their traditional appearance. 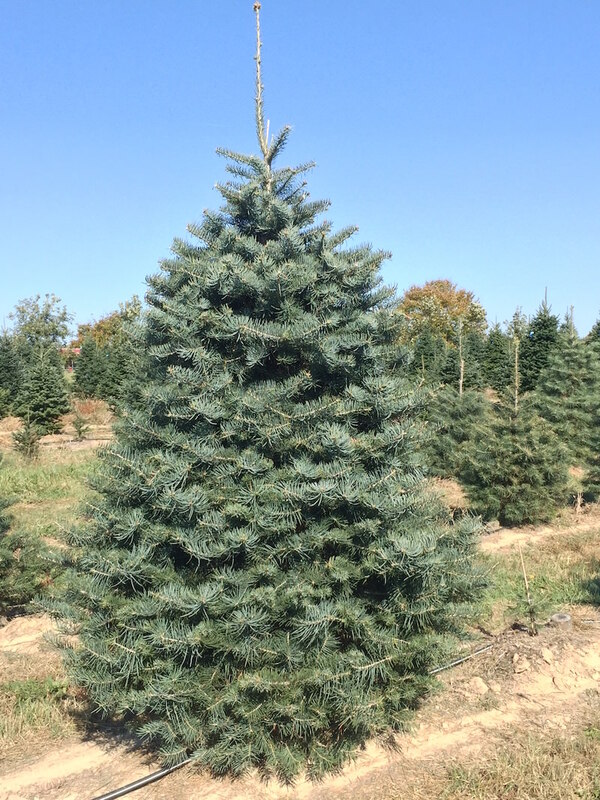 The needles are shorter and softer than Colorado blue spruce. 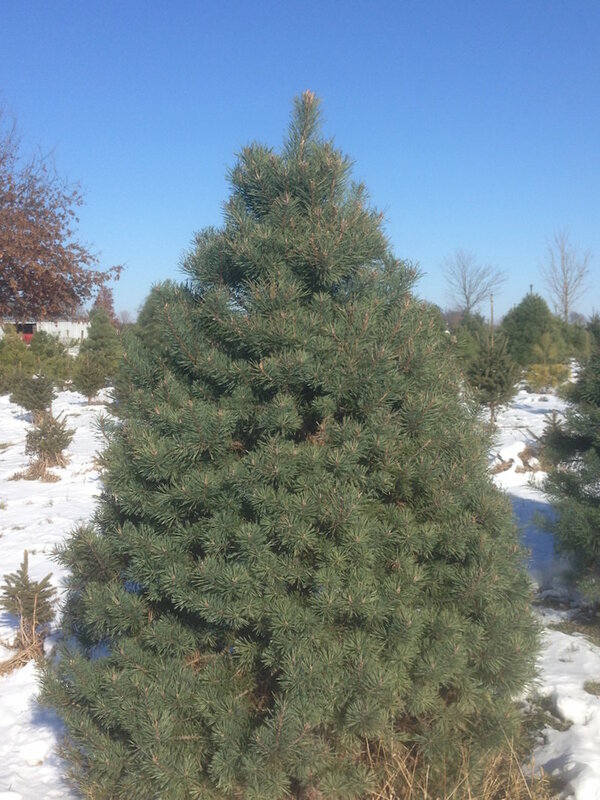 Black hills spruce needles have excellent color, typically a gray-ish green to bluish-green. Branches are stiff and hold up well to ornaments. 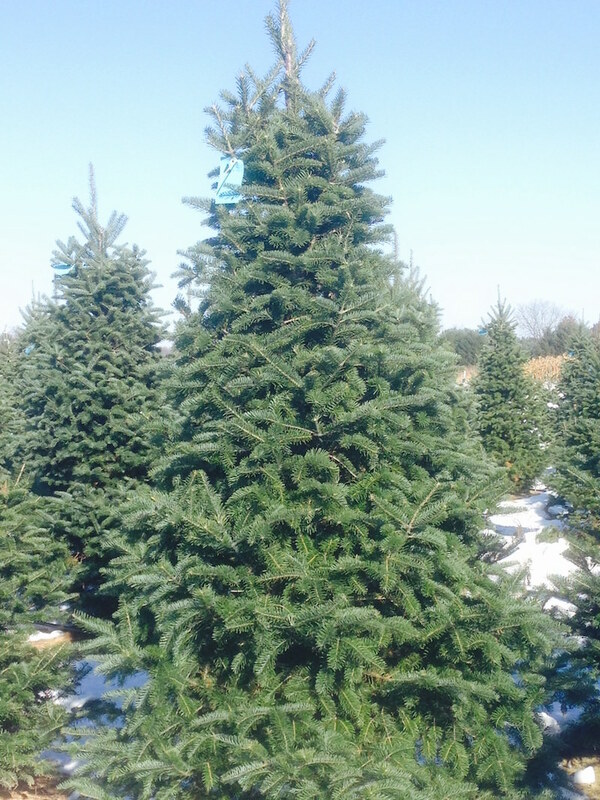 The shiny dark green single needles of this spruce make it attractive as a Christmas tree. 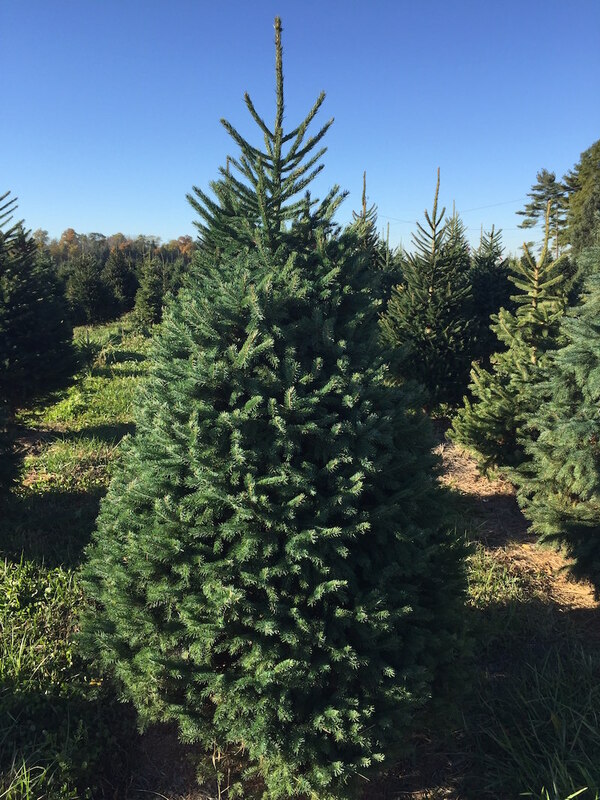 This lacy-looking tree with its bright green color and excellent needle retention makes it the second most popular Christmas tree purchased in Ohio. 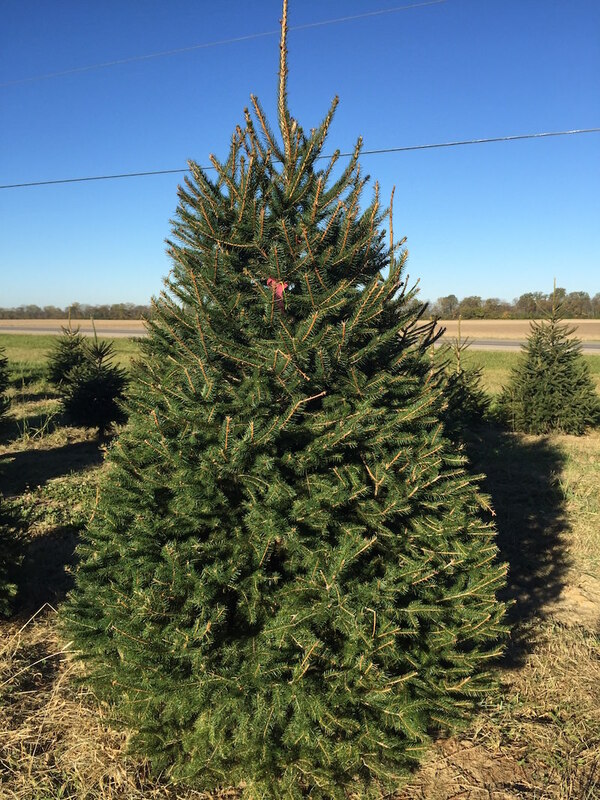 This tree is easy to decorate – however heavy ornaments tend to pull down the soft branches. It’s soft, long needles grow in bundles of five. 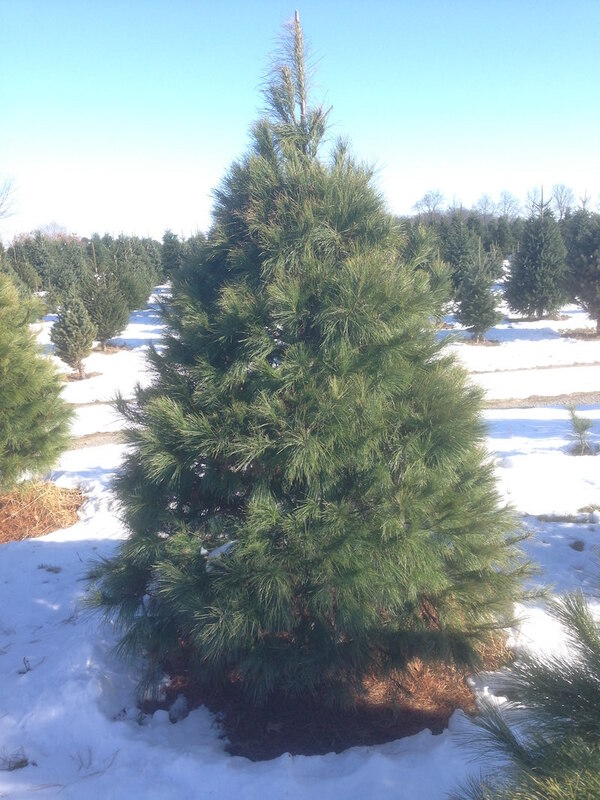 A very popular Christmas tree in Ohio, this pine has a dark to medium green color with firm branches. Dark green needles one inch long grow in bundles of two. Needle retention is excellent. Depending on shearing, this tree can be very full. It is easy to decorate.